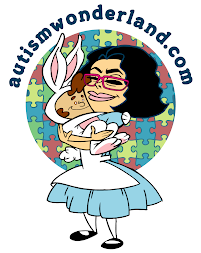 AutismWonderland: Wordless Wednesday: Let Them Eat Cake (and Muffins)! Wordless Wednesday: Let Them Eat Cake (and Muffins)! Yvonne is a journalist by trade and a blogger by night. At YvonneInLA she writes about life in Los Angeles with her two adorable boys, food and restaurants, and a little bit about politics and Latino issues. She loves creating gluten-free recipes, running marathons, and traveling. When she’s not blogging at YvonneInLA, she’s editing over at MomsLA.com, where she is a founder.